The navigation season runs from Victoria Day to Thanksgiving (mid-May to mid-October). (705) 750-4900 at least 48 hours in advance of trip. 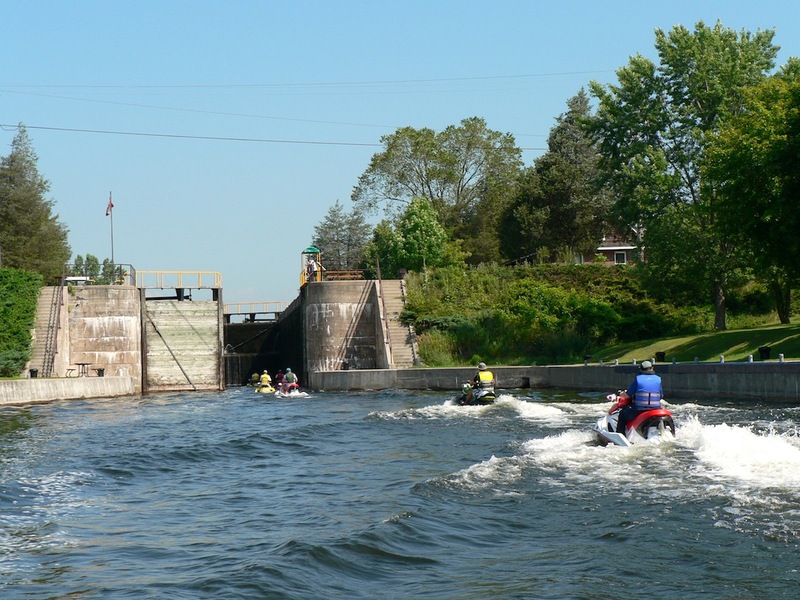 Please Note: The Trent Severn Waterway is owned by the Canadian Federal Government, but managed by Parks Canada. 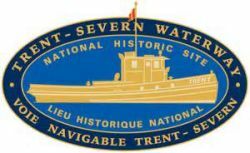 The Trent-Severn Waterway begins at it's south-eastern point, on the Bay of Quinte, on eastern Lake Ontario, and extends in a north-westerly direction to Port Severn where the Severn River flows into Georgian Bay. Boaters can travel end to end, or from any point along the system, to each of the connected great lakes and beyond. The beauty and variety of its scenery is one of the Waterway's greatest assets. Travelling northwards from the Bay of Quinte, up through the valley of the Trent River, boaters pass by lush farmland, marshes rich with wildlife and waterfalls in rocky gorges. Rice Lake, with its distinctive tear-drop islands (drumlins), marks the start of the Kawartha Lakes. The shorelines blaze with colour in the fall. The overall length of the system is 240 miles (386 kms) and features 44 locks, including the first and second highest lift locks in the world, 2 flight locks and one marine railway. It took 87 years to complete, from 1833 to 1920. The Waterway is made up of a number of interconnected lakes, rivers, canals and cuts. Since many of these waters are at varying elevations, a series of locks were built to allow vessels to transit the system from end to end. In fact, boats transiting from Lake Ontario are raised 596 feet (182m) to the summit at Balsam Lake and then decend 262 feet (80m) down to Georgian Bay. The canal runs from the Bay of Quinte in the east to Presqu'ile Bay in the west on Lake Ontario. It is approximately 8 kilometres long. The canal shortens the trip for boats wishing to access Lake Ontario from the central and western Bay of Quinte by avoiding having to go around the outside (south side) of Prince Edward County. The Murray Canal has two road bridges; Brighton Road Swing Bridge (with toll and washroom facilities) and Carrying Place Swing Bridge.